Vancouver is one amazing city to visit! Hands down, it’s been one of my favourite cities since my very first visit around 7 years ago and I’ve no shame in saying I’d visit every week if I could! 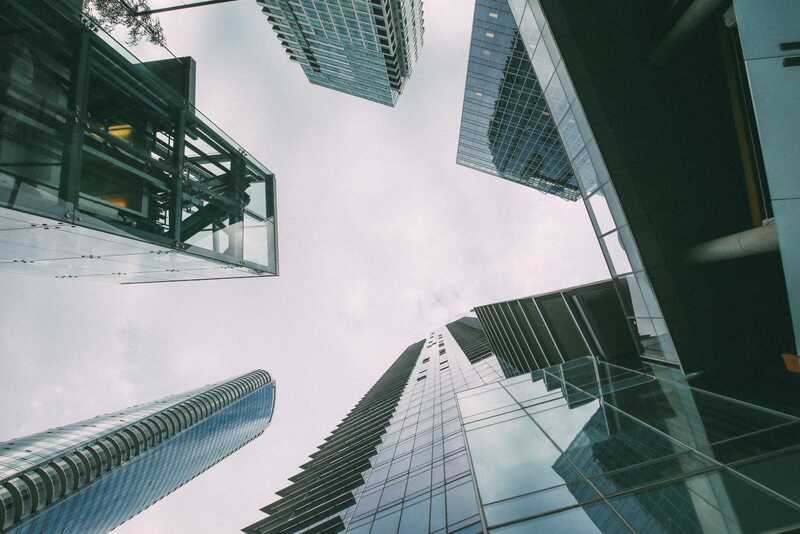 It’s one of those cities that’s not just buzzing with city life and energy but also so close to that stunning British Columbian nature that tightly hugs the city. It’s the only way I can describe it, literally, you leave the city and suddenly you’re in what feels like total wilderness. 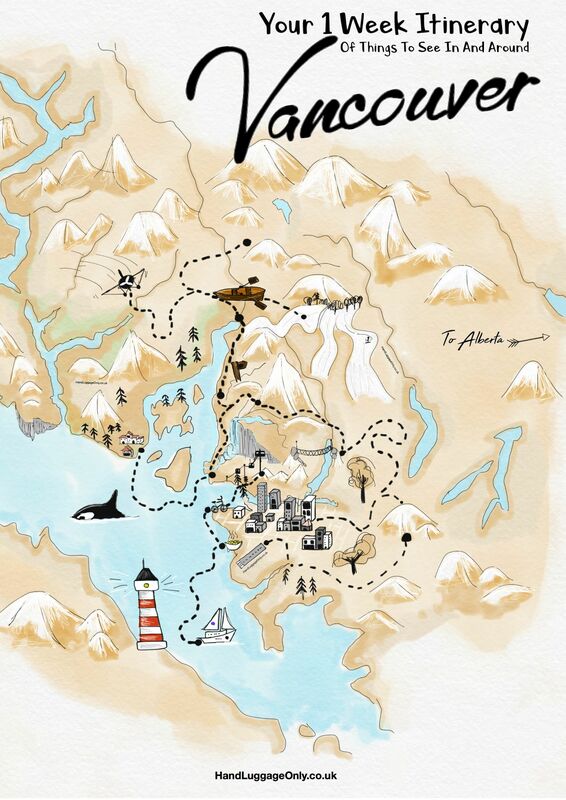 Obviously, It’s not just the cakes that make Vancouver so exciting (though they play a big part, ha) it’s really is one of the best cities to explore and discover a little slice of Canada. 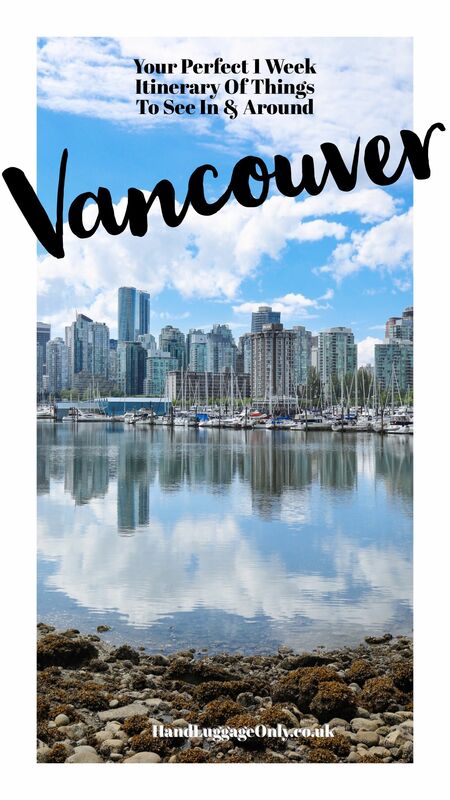 Take a look at our full itinerary for a seven day trip to Vancouver that’ll take you everywhere around the city and beyond! 2pm. Arrival in Vancouver: From airport, train, boat or car. We arrived via the direct London to Vancouver Air Transat flight. There are a number of ways to get to downtown from the airport itself. We chose a taxi which is approximately $40CAD. You can also grab the SkyTrain’s Canada Line which takes about 26 minutes (give or take a few seconds 🤣) and costs between $8-10 per adult. 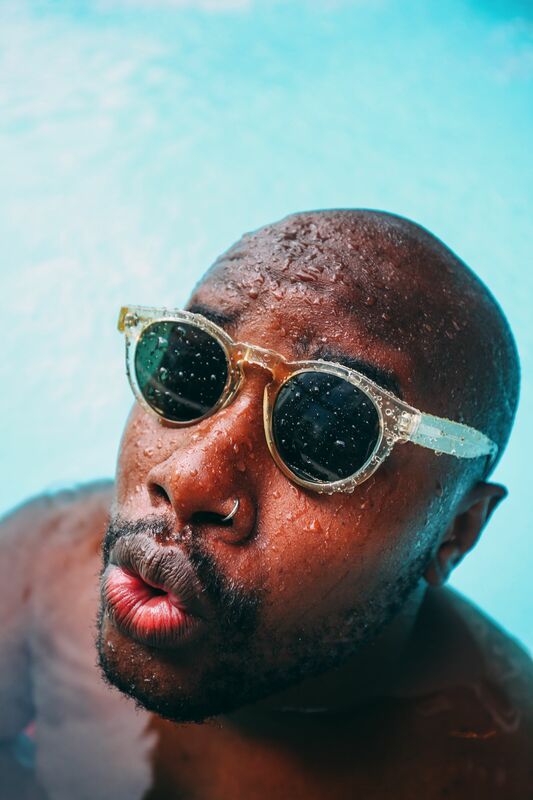 4pm. Check into the hotel: We stayed at the cities Shangri-La Hotel which is inside the city’s tallest building! It’s based on 1128 West Georgia Street and is literally as central as you can get. The whole area around the hotel is amazing and the breakfast at the hotel is just too good to ignore. It really is a special place. 7 pm. Dinner at MARKET: If you’ve flown a long flight to arrive in Vancouver, try to adjust to the new time zone as quickly as possible. The easiest way I’ve found to do this is around food. Head for an indulgent dinner at MARKET, one of Vancouver’s best fine dining restaurants by Jean-Georges and inside the Shangri-La Hotel. 8 am. Morning breakfast: After a long nights sleep to get over your jet lag, head downstairs for breakfast at your hotel. Fill up with lots of slower releasing sugars that’ll bump up your energy levels later in the day. 9:15 am Arrive at Cycle City Tours: Rock up at Cycle City Tours (648 Hornby Street) for your cycling tour at 9:30 am. Get kitted out in your safety gear, listen to the safety talk and head out into the city to enjoy some of the picture-perfect places you’ll explore. City Cycle Tours offer some amazing, guided, bike rides around Vancouver. Don’t worry, you won’t need to be an Olympic cyclist to do this and it’s so relaxed and easy. 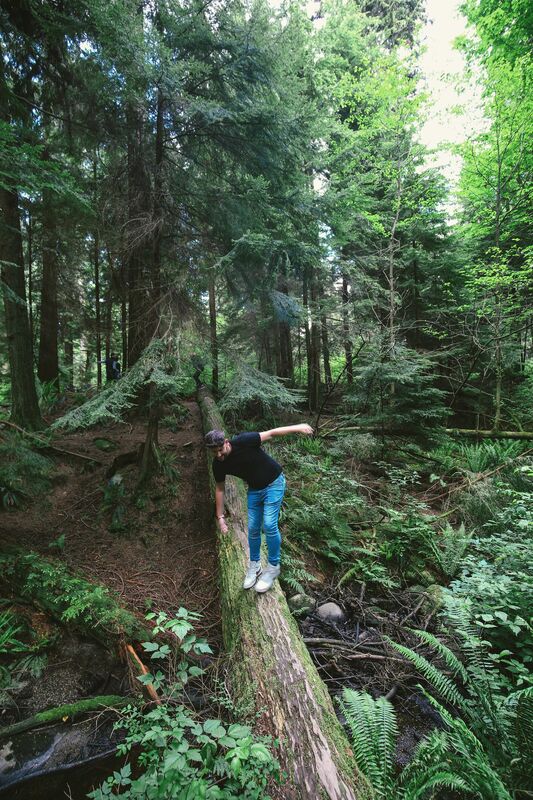 The Original Tour includes a three-hour ride to sites like Stanley Park and the city itself. 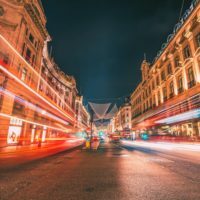 It’s a really great way to explore the city. 12:30 pm. Lunch at Nightingale: Nightingale is a cool joint to devour a good lunch in the city that’s located in a historic building in Vancouver’s Coal Harbour. They make some delicious, fresh meals and have a huge array of microbrews for you to try. 2:00 pm Head over to Grouse Mountain: Either take a taxi (around $20 or take the free shuttle that runs from Canada Place (departing every 30 minutes in peak times). 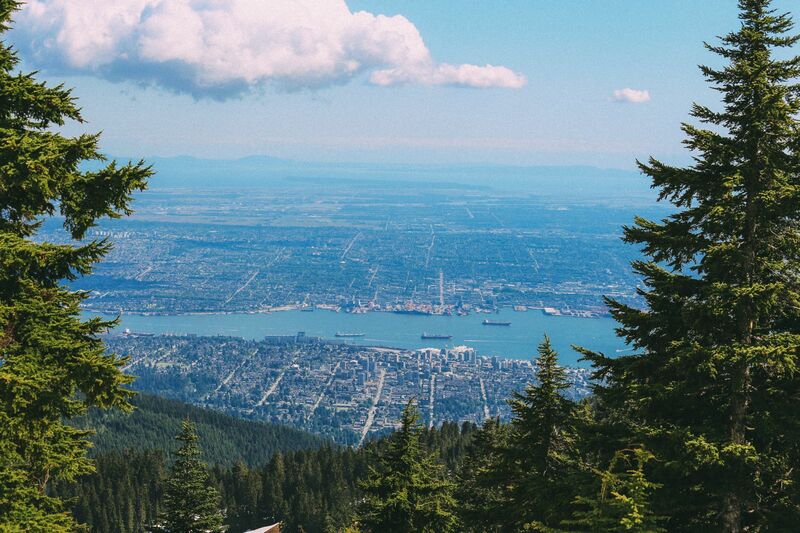 Grouse Mountain is about 15-minutes after crossing Lions Gate Bridge. Head to the top of Grouse Mountain by cable car and you’ll be transformed into a snowy world of outdoor skating, snowshoeing, skiing and snowboarding. 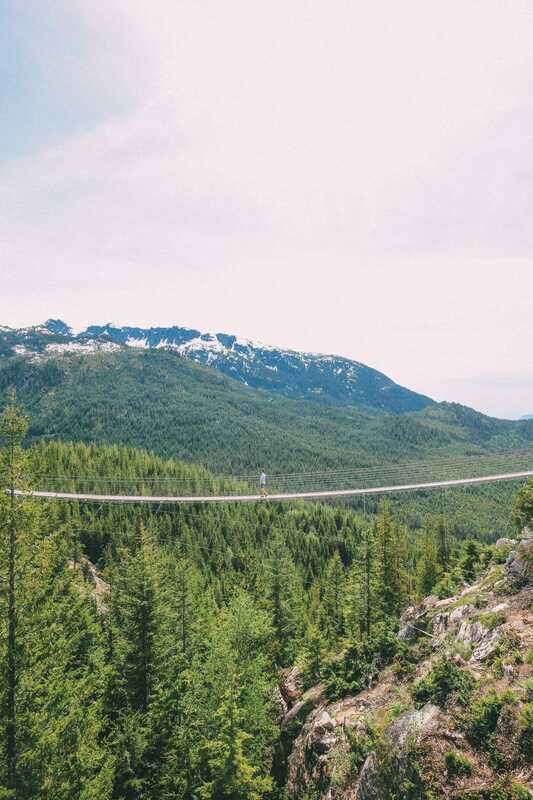 In summer, you’ll still find lots of snow, but it’s truly a hiker’s dream with a heap of trails, the Grouse Grind, and mountaintop trails of varying intensity that’ll suit most hikers. 9:00 am. Breakfast: Breakfast at your hotel but make sure it’s nice and light for the next adventure. 10:15 am. 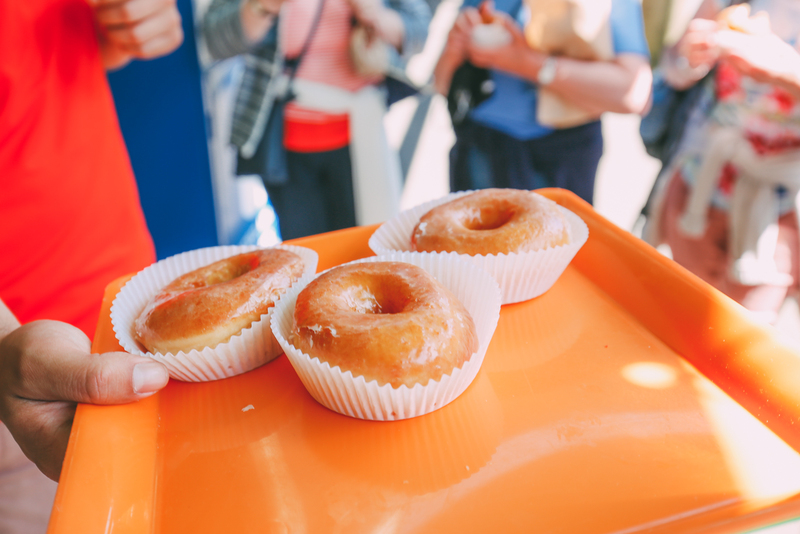 Head over to Granville Island: Meet the Vancouver Foodie Tour guide and head across this tasty area of the city to try almost everything in sight! 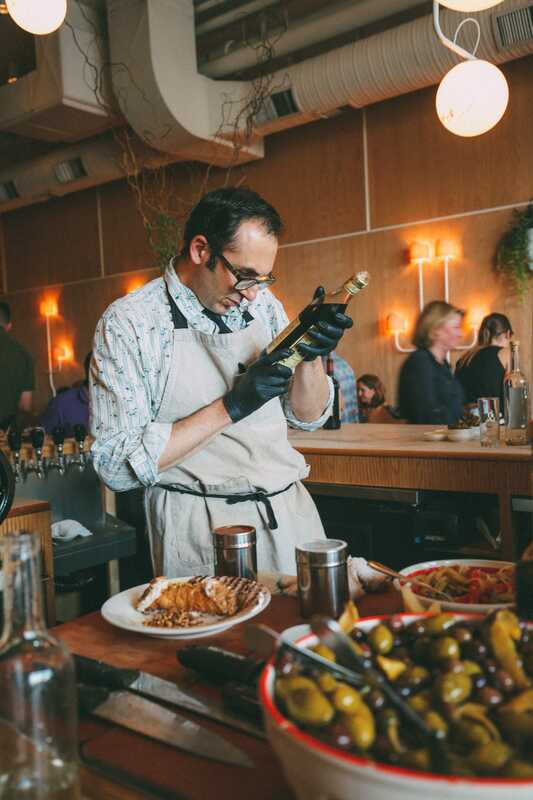 The tour lasts around 2 hours where you’ll rub elbows with some of the best food producers in the city. During the tour, you’ll gorge on some locally produced cheeses, fluffy doughnuts, blended teas and some delicious Mexican food. Each tour might be slightly different (which is all part of the fun). 1:00 pm. Explore China Town: After filling your tummy all morning, I guarantee you won’t want to stop for a huge bite to eat. Instead, head across to China Town for a wander around some of the shops, bars and historical sites. Make sure to stop off for a drink at Keefer Bar and Fortune Sound Club and check out Rennie Collection at Wing Sang (which offers free entry). You can also visit some of the firm-favourites such as; Dr. Sun Yat-Sen Classical Chinese Garden and the Millennium Gate. 5:00 pm. 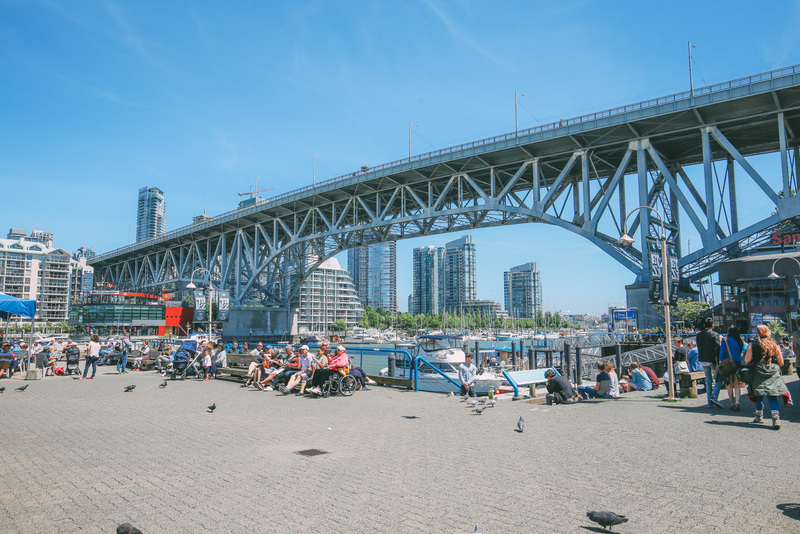 Arrive at Vancouver Water Adventures: Back on Granville Island (1812 Boatlift Lane), check in for your boat tour that departs at 5:30 pm on a Bowen Island Dinner tour. 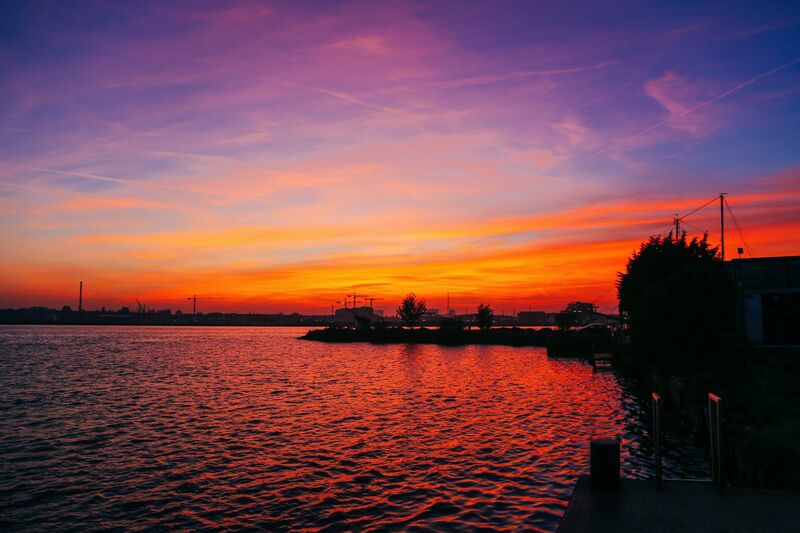 Once you arrive at Bown Island, you’ll have a little chance to wander around the area before gorging on all the yummy food at Doc Morgan’s. 10:00 pm. Sleep: Catch an early night before the long day ahead. 6:30 am. Breakfast: Fill up at your hotels’ breakfast. 7:15 am. 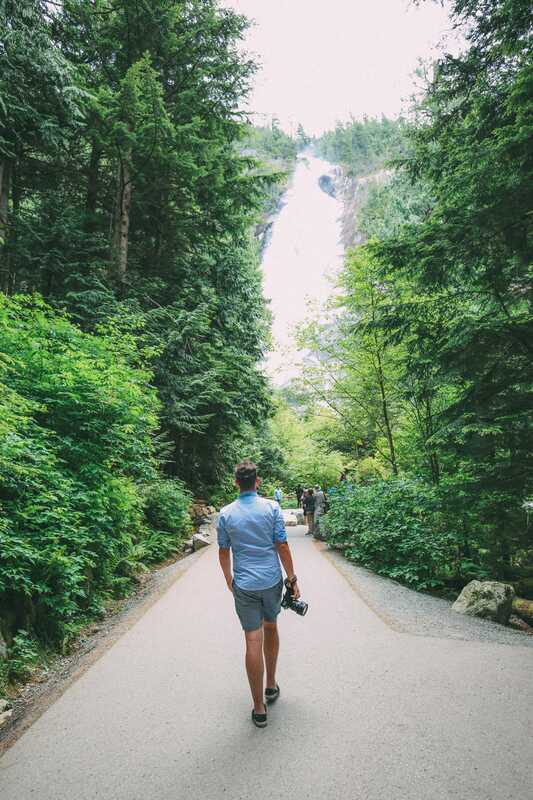 Pick up a rental car in downtown Vancouver for a day of driving and exploring outside of the city. 8:00 am. Drive to Horseshoe Bay Ferry Terminal: This will take around 30 minutes or so but leave yourself plenty of time as you’ll be wanting to buy tickets for the ferry crossing to Langdale. You can check the schedule, here. 9:25 am. Depart on Ferry: Depart Horseshoe Bay for Langdale. The crossing time varies ever so slightly but usually takes around 40 minutes or so. 10:10am. Arrive in Langdale and the Sunshine Coast: After driving off the ferry, it’s time to explore the gorgeous area around the Sunshine Coast. With over 100 miles of coastline, this area is a perfect place to explore the laid-back charm of British Columbia. 11:00 am. 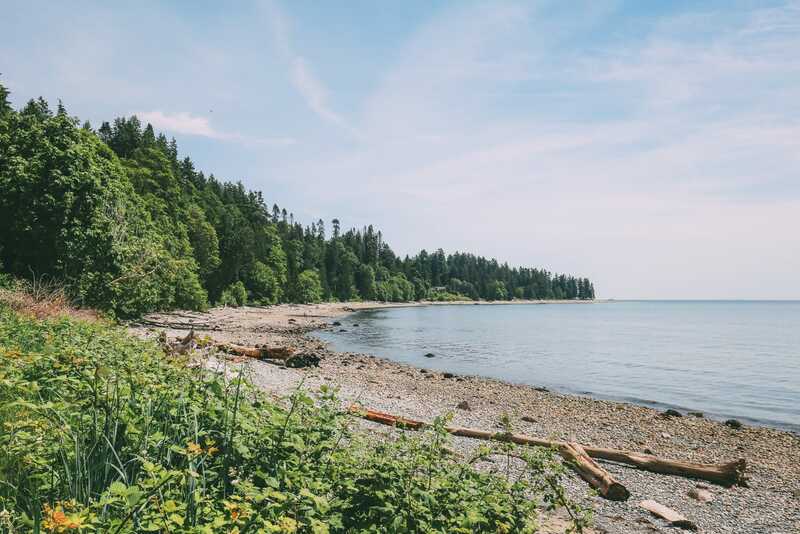 Drive to Gibsons Landing: Head over to Gibsons Landing to explore a little of this place. 12:30 pm. Eat at Gibsons Public Market: This intimate little market has around 10-12 food stalls and shops that offer some of the local areas best produce. 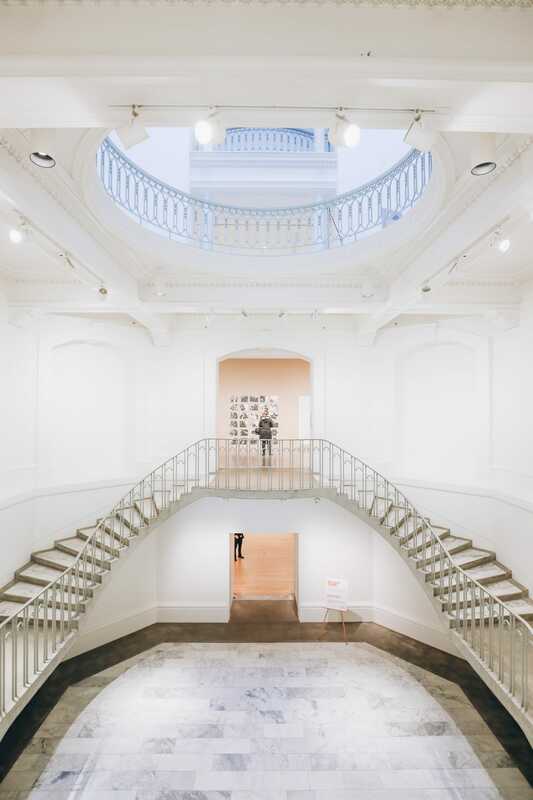 Make a stop, take a wander around this quaint place and head upstairs to enjoy some freshly prepped food and even some art when exhibitions are on show. 1:30 pm. 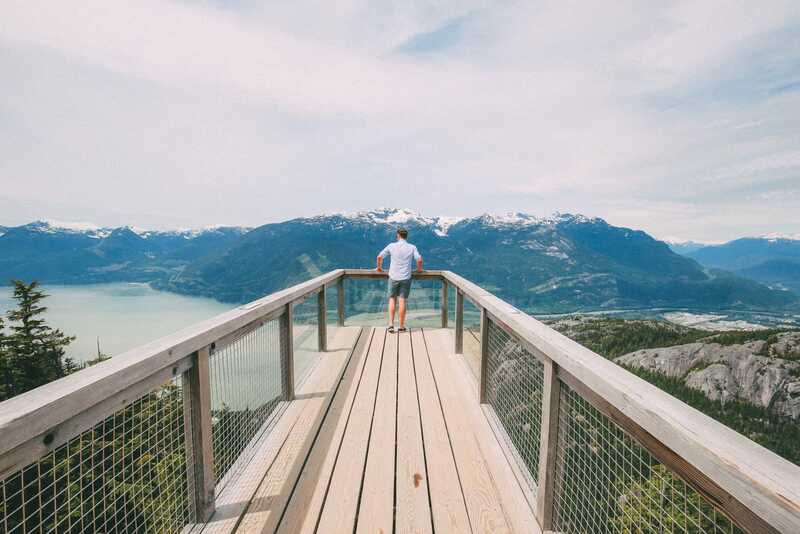 Hike to Soames Hill: One of the best ways to see this area of British Columbia is on foot and located just above Gibson and a few miles from the ferry terminal is a relatively short 40-minute (self-guided) hike to conquer ‘The Knob”. Once at the top, you’ll come across some amazing views of Gibson Harbour, Vancouver Island, Gambier and Bowen. To access this trail, it’s best to enter from 481 Esperanza Road (SW entrance). 2:45 pm. Scenic Driver along Gower Point Road to Ocean Beach: Head on this coastal drive for an hour or so to enjoy some of the true wilderness of this impressive place. Follow the coastal road and stop off whenever you wish. It really is a lovely drive. 4:15 pm. 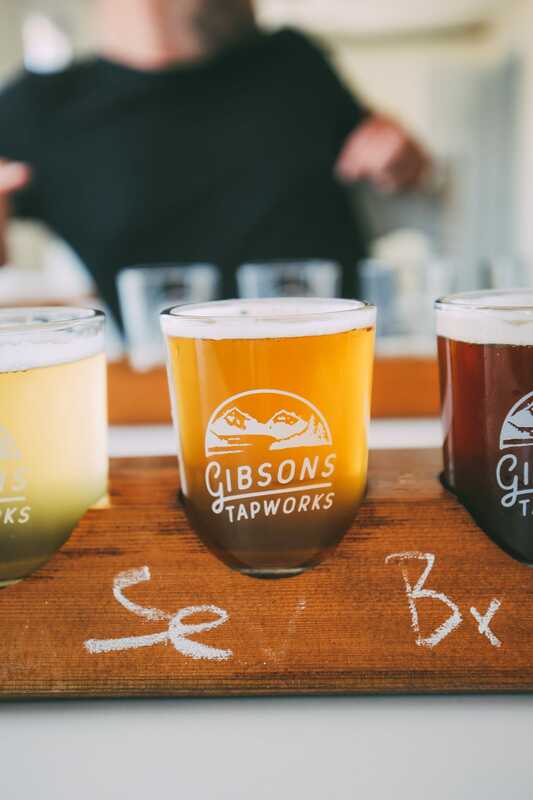 Head to Gibsons Tapworks: Gibsons Tapworks is an intimate microbrewery that prides itself on high-quality craft beer. Just make sure not to give any to the driver. 4:45 pm. Grab some freshly caught oysters: One of the best things about the ocean is that there’s an abundance of seafood to eat. Head over to Smitty’s Oyster House to grab a few freshly prepared oysters. 5:45 pm. Persephone’s Brewing Company: After eating all those oysters, you’ll need a little tipple to wash it all down. 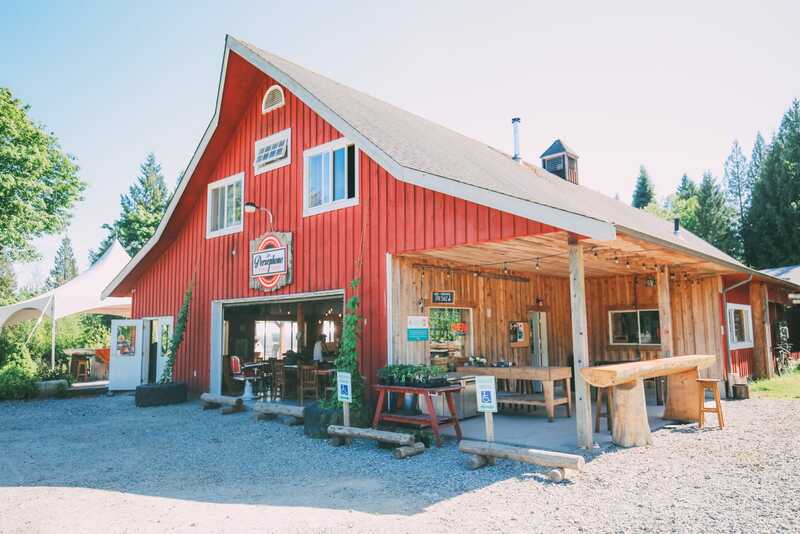 Head over to Persephone’s Brewing Company which is home to an 11-acre farm and microbrewery in Gibsons. Make sure to try their grapefruit beer – it’s too delicious to miss! As with the previous alcohol experience, I’m afraid the drive will need to sit this one out. 6:20 pm leave for Langdale Ferry Terminal: The ferry terminal is about 5 minutes drive from Persephone’s Brewing Company. 6:50 pm. 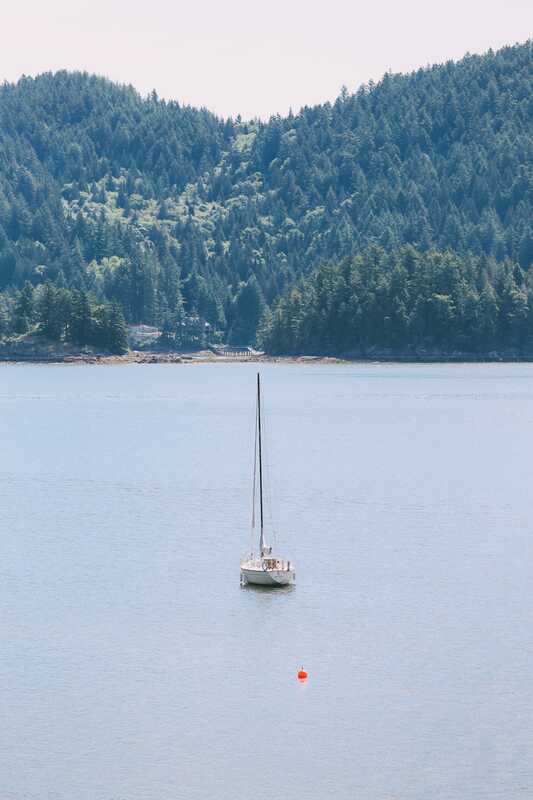 Sail time: Set sail from Langdale (Gibsons) to Horseshoe Bay. 7:30 pm. 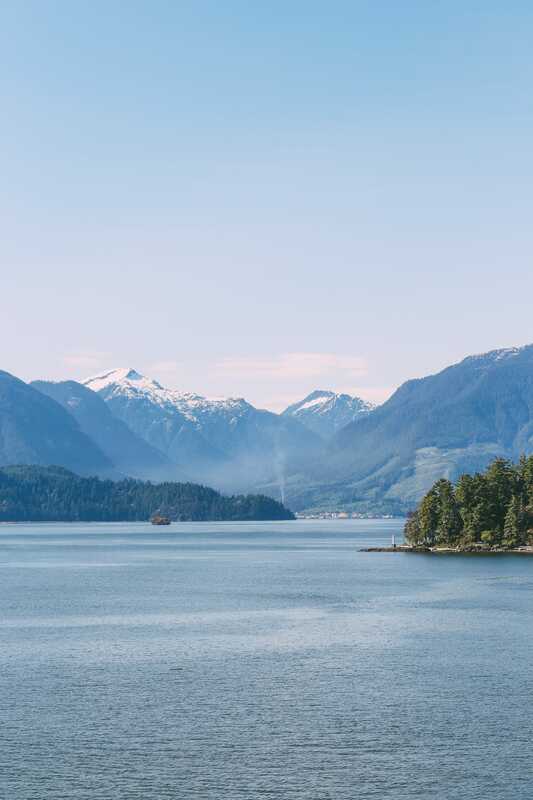 Vancouver: Arrive in Horseshoe Bay and drive back to your Vancouver hotel. 9:00 pm. 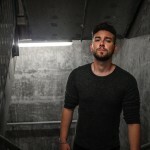 Paint the town red: If you still have some energy, head over to Biltmore Cabaret who host a variety of different nights each day of the week. From comedy, cabaret to rock, this amazing venue is a must when in Vancouver. 8:00 am. Breakfast at Jam Café: Enjoy breakfast at Jam Café, which is one of the most prized places to brunch (or breakfast) in the city. Be warned, by 9:00 am you will be queuing for a table. I hate queueing, so arrive early to avoid disappointment and lengthy delays. 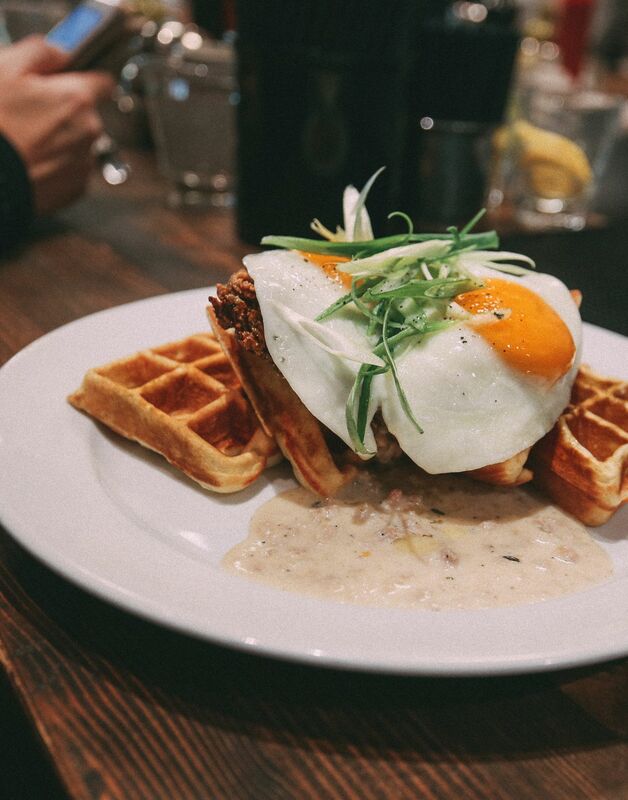 Make sure you try their Chicken N’ Waffles which is made up from a fluffy waffle with a succulent buttermilk fried chicken breast, oodles of gravy and topped off with two sunny eggs! 10:00 am Depart for Sea to Sky Gondola: Hope into your car and head on a 1-hour drive from downtown Vancouver to the Sea to Sky Gondola in Squamish. The address for your GPS is 36800 Highway 99, Squamish. 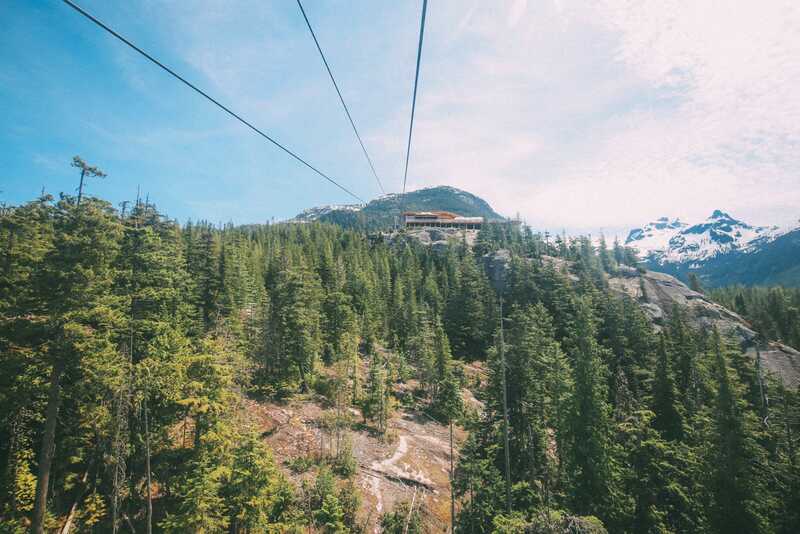 11:15 am Head up the Sky Gondola: Relatively new to the area, the Sea to Sky Gondola is one epic ride that will take you to the very top of the mountains and alpine meadows. 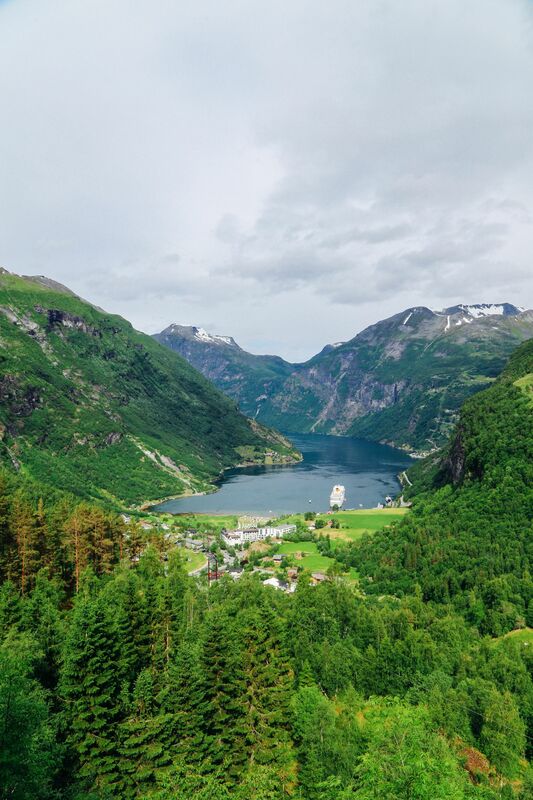 If you’re an experienced hiker, you can actually hike to the top. Alternatively, follow one of the designated trails once you arrive at the summit. Don’t forget to walk over the Sky Pilot Suspension Bridge, too. 12:00 pm. First Nations Guide: Meet your local First Nations guide at the fire pit at Bodhi’s Plaza and head out on a guided Talking Trees tour that lasts around 90-minutes. 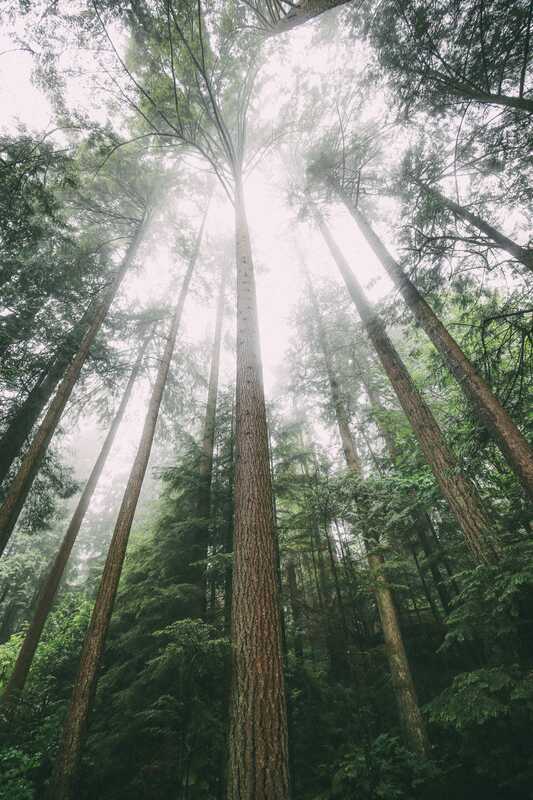 A local First Nations guide and cultural ambassador will share cultural uses of the alpine forest and region and point out the variety of local plants that were harvested by Skwxu7mesh Uxwumixw First Nations people for food, technology and medicine. 1:30 pm. Grab a bite to eat: Enjoy lunch at the Summit Eatery before heading down the Sea to Sky Gondola. 3:00 pm. Departure: Depart Sea to Sky Gondola. 4:00 pm Arrive back downtown: Take a moment to relax and to rest up before dinner. 9:00 am. 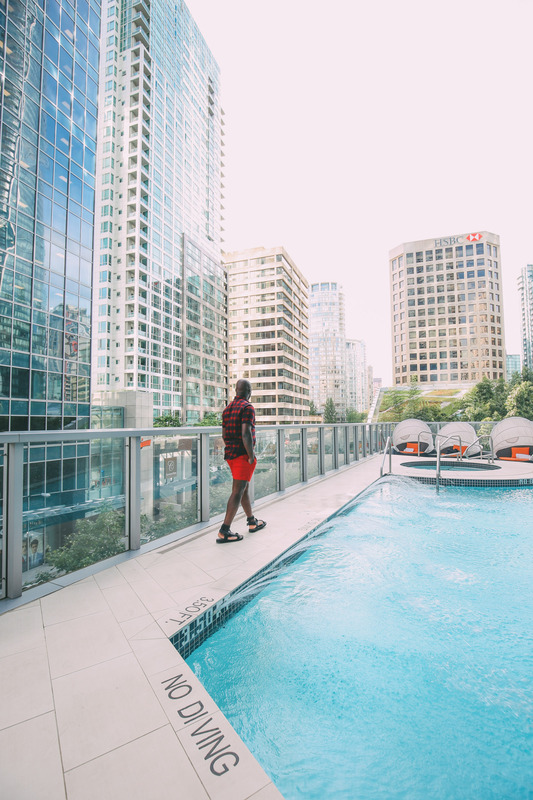 Head to the harbour front: One amazing perk of staying at the Shangri-La Hotel, Vancouver is that they organise a whole host of trips for us visitors to explore the region outside of the city itself. When you book, make sure to ask about pre-booking their tour to Whistler which we did this day. It was unforgettable and something you’ll love! 9:30 am. 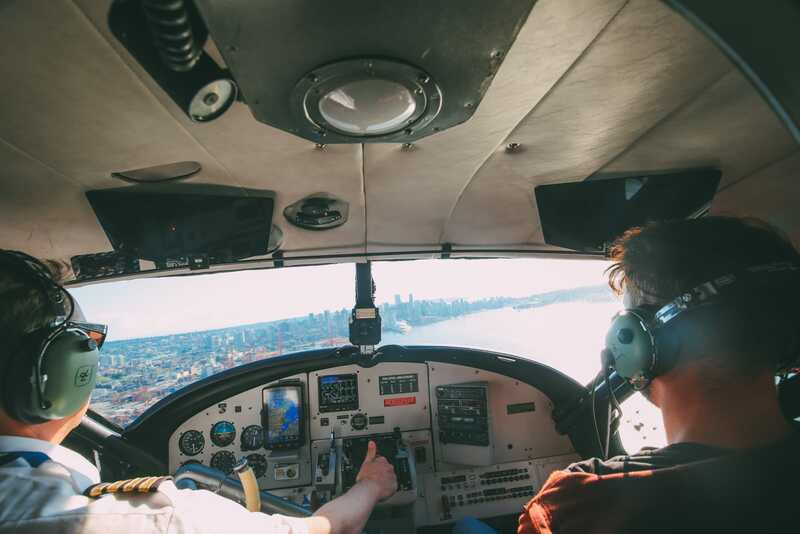 Take a seaplane to Whistler: Depart the harbourfront by seaplane for a 45-minute flight to Whistler. 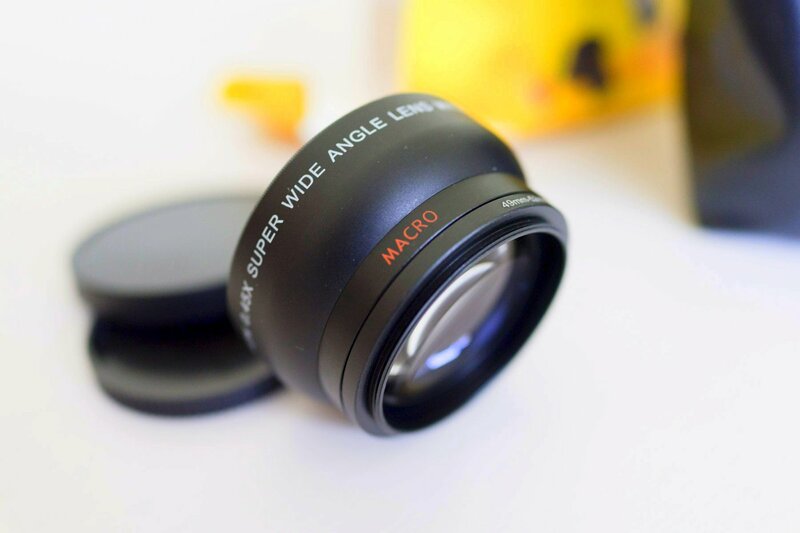 Make sure to take your camera, the views are out of this world! 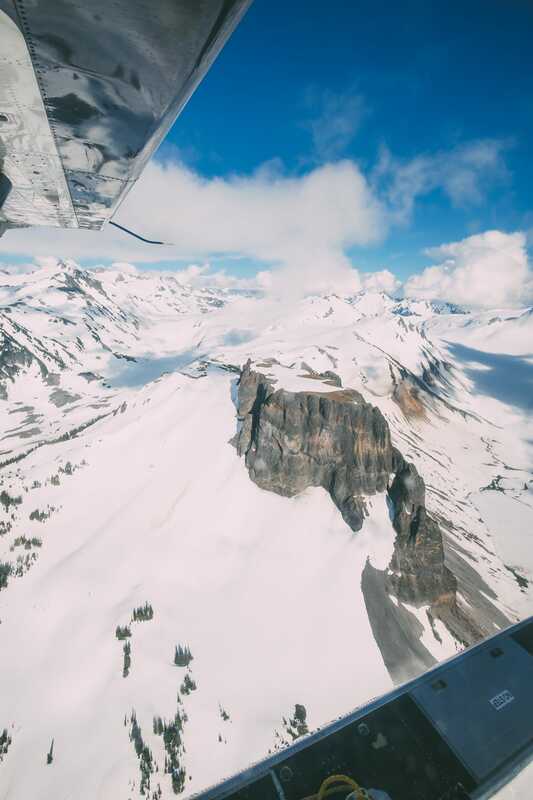 You’ll get to see Mount Garibaldi, Dalton Dome, Atwell Peak and a whole host of glaciers that you won’t want to miss! 11:00 am Arrival in Whistler: Shuttle from Green Lake to Whistler Village. 12 noon. Lunch: Head across to Bar Oso, who have a range of tapas inspired meals that are so delicious! They also make some epic cocktails too! 1:30 pm. 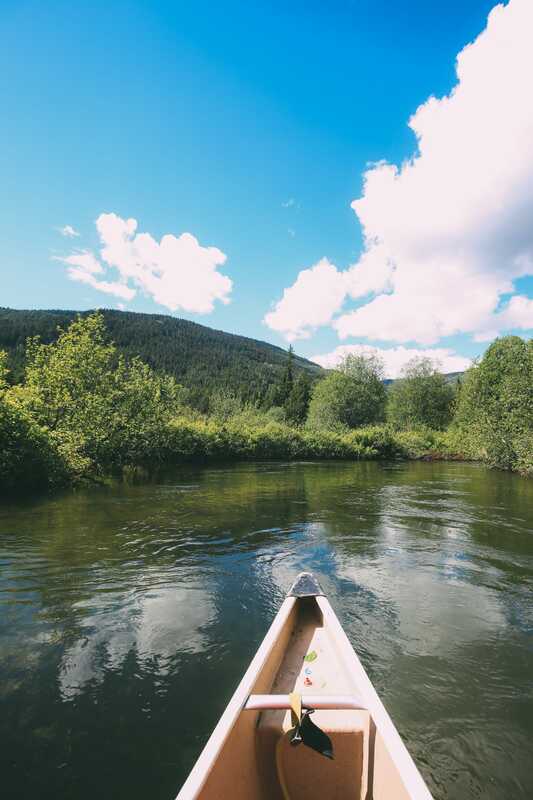 Canoe the River of Golden Dreams: Meet Canadian Wilderness Adventures. You can book online or in person and meet at the Canadian Wilderness Adventures desk across from Ziptrek in the Carleton Lodge, located at 4280 Mountain Square, next to the Longhorn Saloon. This is a paddlers paradise (as long as the wind is in your favour). 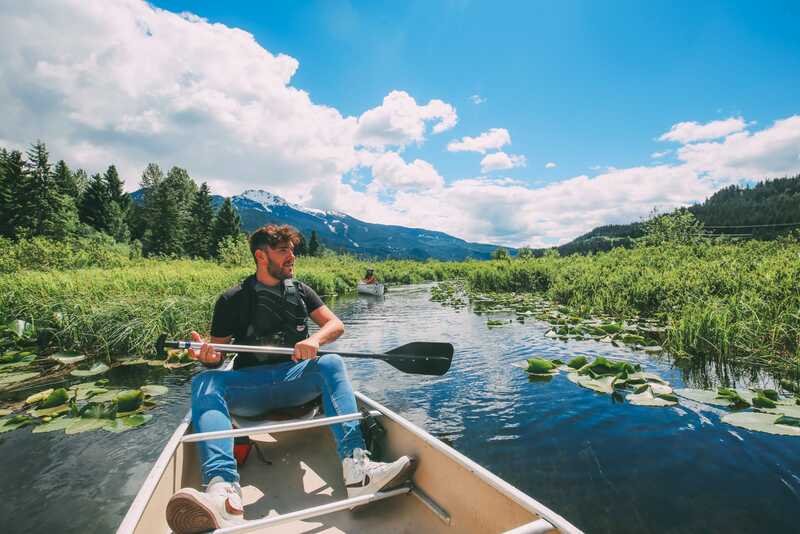 You’ll start your canoe at Alta Lake before heading into the gentle currents and winding river and narrow passages of the river itself. 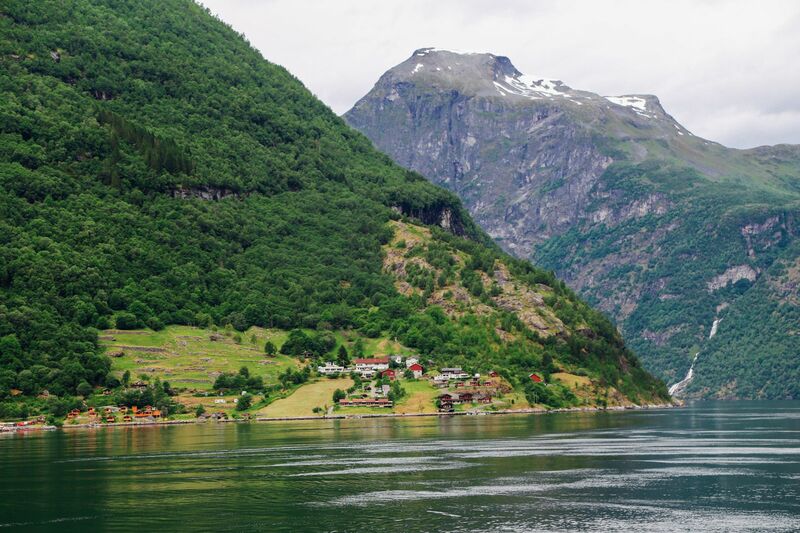 The whole canoe trip takes around 3 hours and is one of the most picturesque canoes journey’s you can do. 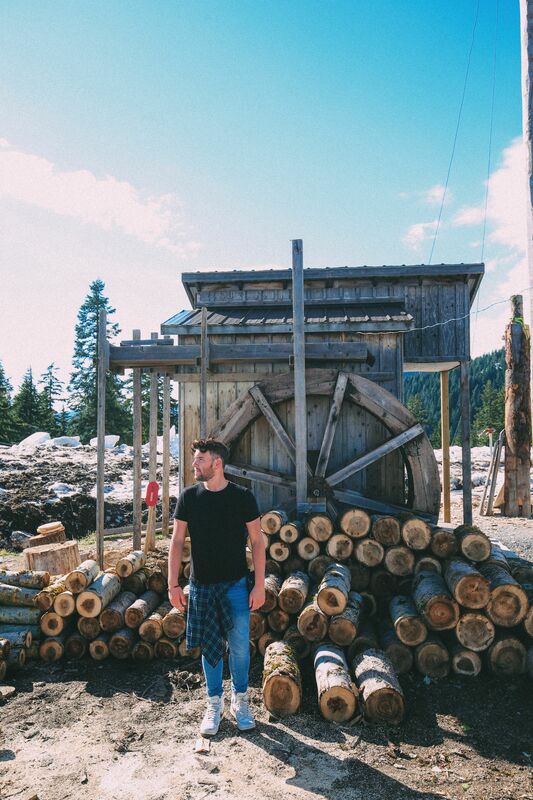 You’ll end your trip at Green Lake where you’ll hop on board the shuttle back to the Whistler Village. 6:00 pm. 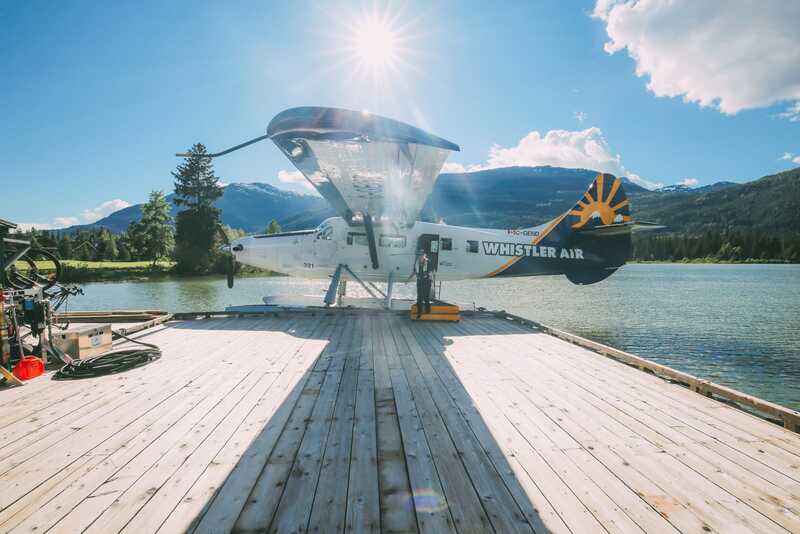 Shuttle from Whistler Village: Leave Whistler for your seaplane back to Vancouver. 8:00 pm. 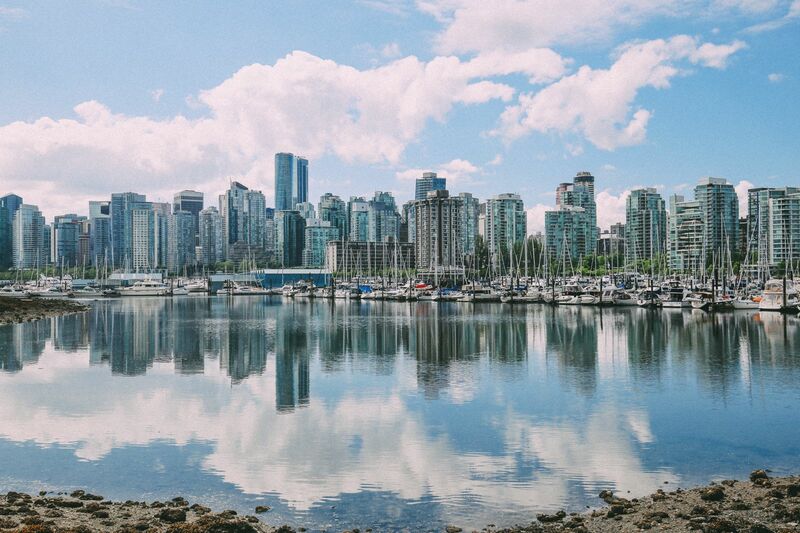 Arrival in Vancouver: After a whirlwind day in Whistler, head back to the city centre. 8:30 pm. Dinner: Head over to Royal Dinette which brings some of the best farm-to-table food in the city. Alternatively, check out some of these yummy restaurants. 10:30 am. 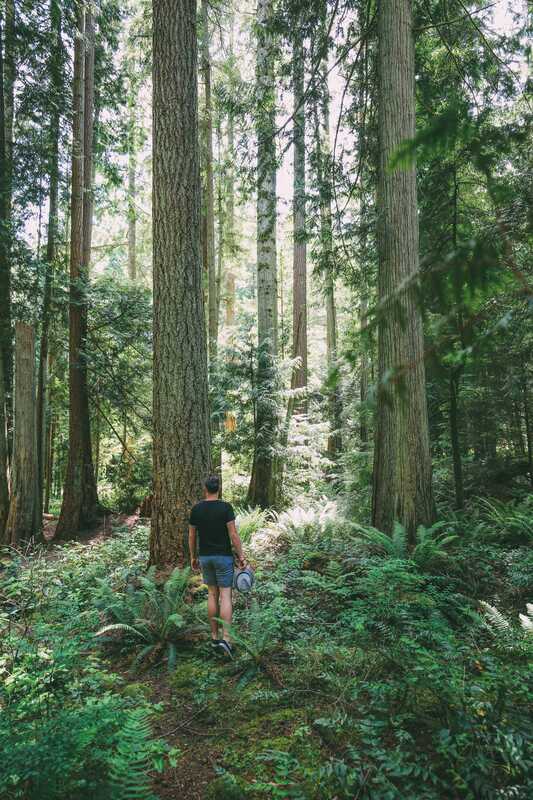 Drive to Capilano Suspension Bridge Park: About 20-minutes from the city centre. 11:00 am. 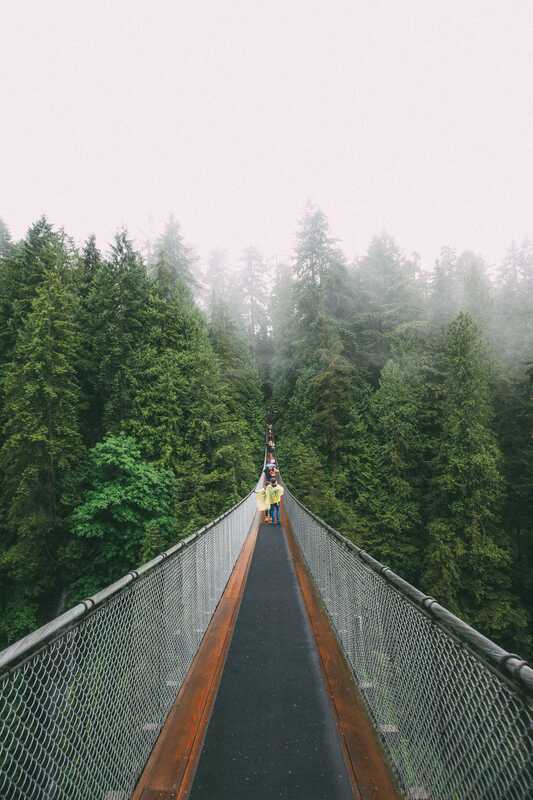 Arrive at Capilano Suspension Bridge: Capilano Suspension Bridge Park is a great place to explore one of Vancouver’s oldest attractions. 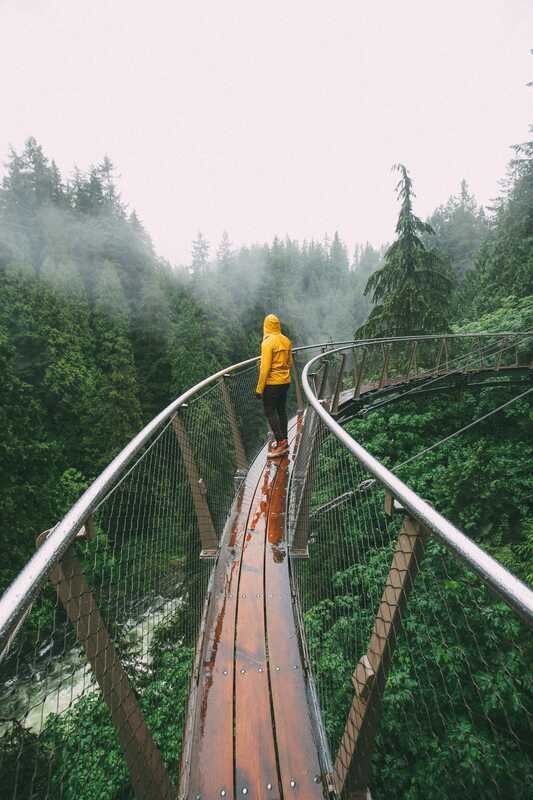 The swaying bridge hangs a whopping 70 metres above the Capilano River below and the perfect crossing to explore the Treetops Adventure and cliff walk that you can do when inside the park. 1:00 pm. Head back to Vancouver: Drive back to the city. 1:30 pm. Lunch at Meat & Bread: Head over to Meat & Bread for one of the city’s most yummy sandwich spots that’ll guarantee you a hearty meal! Their spicy mayo is amazing too! 2:30 pm. 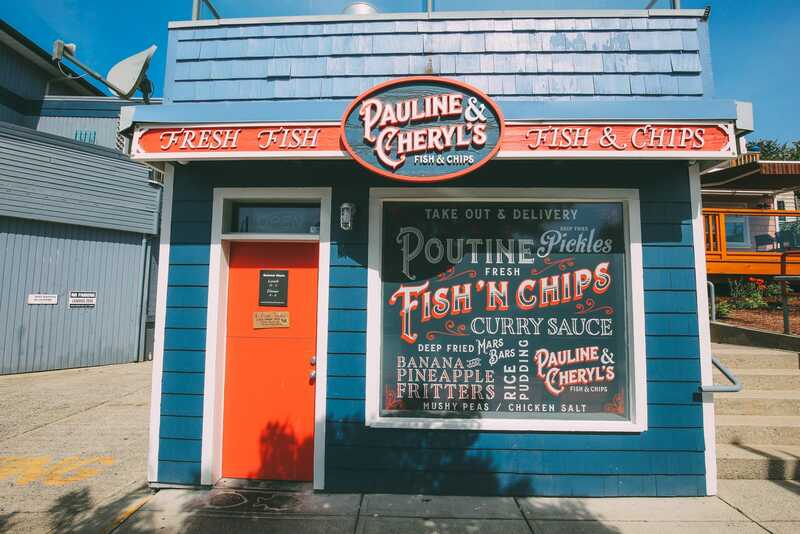 Explore more of Vancouver over 6 hours: Spend the afternoon spotting some of the main sites you have to see whilst in the city. 8:30 pm. Dinner at Savio Volpe: One place you can’t miss whilst in Vancouver is Savio Volpe. This has to be one of my favourite restaurants during our whole visit (shhhh, don’t tell the others), it’s a little outside the city centre (about 10-minutes by taxi) and it’s worth every second! 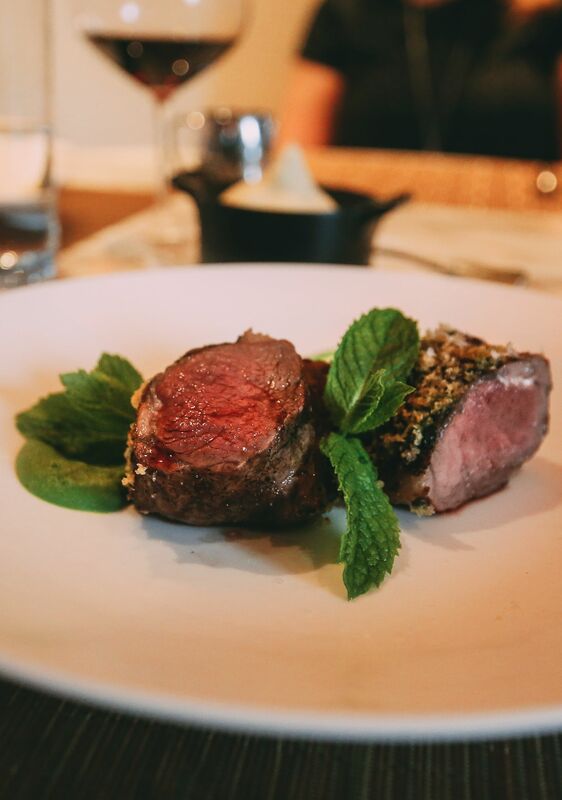 Make sure to try their delicious Grass-fed veal chop, prosciutto, taleggio and sage. I don’t think I stopped eating from the moment I arrived until the very last second. 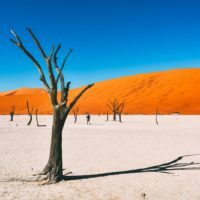 This place is too good to ignore. As with all our posts, if you need any more tips, advice or need some help in finding the right place, just pop us a message, we are always happy to help.